David Duchovny is a Hollywood actor who became world famous thanks to the roles of special agent FBI Fox Mulder in the series The X-Files and writer Hank Moody in the television series Californication. High level of professionalism allowed the actor to become the owner of two Golden Globes. In 2016, David received a star on the Hollywood Walk of Fame. By the way, his name means ‘spiritual’ in Russian. David was born in New York City on August 7, 1960. His Russian-Jewish father, Amram ‘Ron’ Ducovny (yes, they spell their names differently!) is a writer. His Scottish mother is a housewife. The parents divorced 11 years after his birth. The boy was raised by his mother, along with his sister Laurie and his brother Daniel. The boy studied at the prestigious school in New York along with John Kennedy, Jr., who died in a plane crash in July 1999. After school he entered the Princeton University. Then he studied English Literature at the Yale University and worked as a teaching assistant. Handsome boy appeared in a TV commercial for Lowenbrau beer and earned $9.000. It was twice as much money as he made as a teaching assistant. Boris Johnson is a Mayor of London with Russian name and Russian roots. Actually, he is a British statesman, politician. On May 7, 2015 Boris became a member of the House of Commons. From 2008 to 2016 he was a Mayor of London. 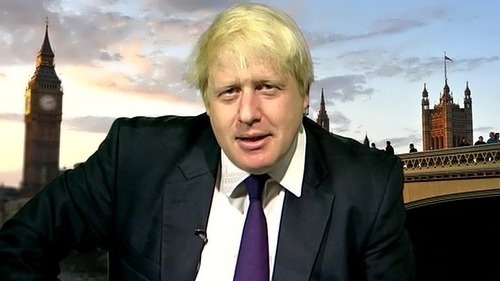 And from July 13, 2016 to July 9, 2018 Johnson was a Foreign Minister of Great Britain. Besides, he is a member of the Conservative Party. He was born on June 19, 1964 in New York, USA. You know, his full name is Alexander Boris de Pfeffel Johnson. He has a brother and two sisters. His paternal great-grandfather Ali Kemal, a Turkish journalist, married a Circassian slave from southern Russia. Johnson’s great-grandmother left her homeland because of the Caucasian war and was enslaved by the Ottomans. Their descendants later moved to the United States, and from there to England, where they took a popular surname Johnson. The maternal great-grandfather was American scientist Elias Avery Levy (1879-1969), a native of Kalwaria (then in the Russian Empire) of Jewish descent. Pamela Anderson (her full name is Pamela Denise Anderson) was born on July 1, 1967 in Ladysmith, British Columbia. She is famous actress, model, producer, author, activist, and former show girl. Her great-grandfather was Finnish and left the Grand Duchy of Finland (which was a part of the Russian Empire at that time) in 1908. You know, Anderson’s great-grandmother was Russian. At an early age Pamela enjoyed playing the saxophone, loved sports. Pretty girl spends much of her time working with organizations and charities. She is a notable member of the Animal Rights movement and has conducted campaigns condemning the commercial fur industry and promoting Vegetarianism (she became a vegetarian in her early teens) through the animal welfare organization PETA. In addition to being an advocate for animal rights, Anderson was a spokesmodel for MAC Cosmetic’s MAC AIDS Fund. 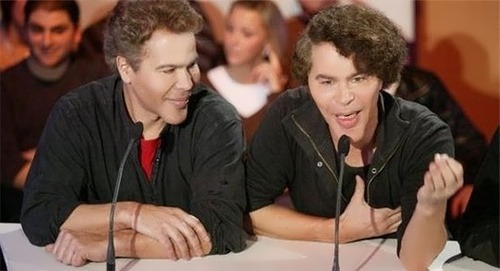 Twin brothers Igor and Grishka Bogdanoff (or Bogdanov) are famous French celebrities. They are often called freaks, not only for their scientific machinations, but also for their specific appearance. According to rumors, numerous plastic surgeries caused facial deformities. The boys were born in 1949 in France. They claim that their parents came from aristocratic Russian and Austrian families, and that their maternal grandfather was African-American tenor Roland Hayes. More than 30 years ago, they were widely known in France as TV hosts. Their shows like Temps X (and more recently Rayons X) were about popular science and science fiction, space, distant stars, aliens and attracted a large number of viewers. The career of Bogdanov brothers before plastics was connected with a grandiose scandal. The book God and Science, which became a bestseller in France, was criticized by the American cosmologist. 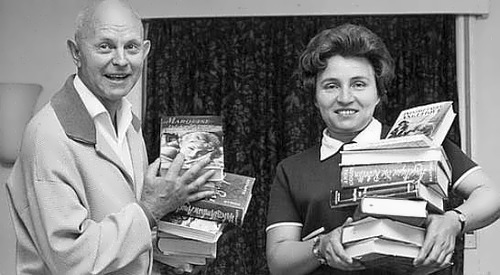 The Bogdanovs were accused of plagiarism, ignorance of the elementary foundations of physics and mathematics, and the success of the book was explained by skillful juggling with complex scientific terms. The scandal was hushed up, and in 1998 the brothers defended their Ph.D. theses and continued to be engaged in pseudo-scientific research. Valeria Bystritskaia was born on June 20, 1986 in Moscow, Russia. You know, she is a German beauty queen. Valeria was elected on July 7, 2011 in Berlin during the Berlin fashion Week as Miss Universe Germany 2011. By the way, she represented Germany at the Miss Universe 2011 on 12 September 2011 in Sao Paulo, Brazil. Now she lives in Karlsruhe, Germany. Gia Skova is a famous Hollywood model and actress of Russian origin. Gulia Skovorodina (her real name) was born on August 21, 1991 in Saratov. Since childhood, she dreamed of becoming an actress. The first role Gia played in the school theater. However, after school she did not enter the theater institute. The girl studied at the economic institute and took part in KVN and other creative projects. It is noteworthy that Gia got into the modeling business, thanks to the fact that she loved to draw. Little Gia took her drawings and went to the editorial office of the children’s magazine. She could not work, because she was only eleven years old. However, she was noticed by the editor in chief, who wanted to see her on the cover of the magazine. So she posed for her first cover. 15-year-old girl was the winner of the contest The Beauty of the Volga. Then she worked in the modeling agency Modus and took part in several large projects in Italy, France, Spain, and several Asian countries. Her photos appeared on many magazine covers around the world. Sergeanne Golon is a literary pseudonym of Simone Changeux and her husband Vsevolod Golubinov. By the way, the novelist duo is also known as Anne and Serge Golon (Fr. Anne et Serge Golon). Their novels were read in France, Germany, and the USSR. When the movie with Michele Mercier in the title role was filmed the spouses became famous. Angelique first appeared in bookstores in 1956 under the name of Anne Golon. Serge was looking for historical information. Then the names of both of them were on the covers. A series of French historical adventure books is about blond, green-eyed beauty. The action took place during the time of Louis XIV of France, although a few of the books take place in other locations. According to Anne Golon, her husband was the prototype of Angelica’s husband – Joffrey de Peyrac. Vsevolod Golubinov, later known as Serge Golon (1903–1972), was a Russian aristocrat. He was born in Bukhara, Turkestan, where his father was the Tsar’s consul. Actually, Vsevolod was a writer and artist, who knew eleven languages.